2. Pink french tips with Mini head designs ? 12. This is mature but still so playful and pretty . 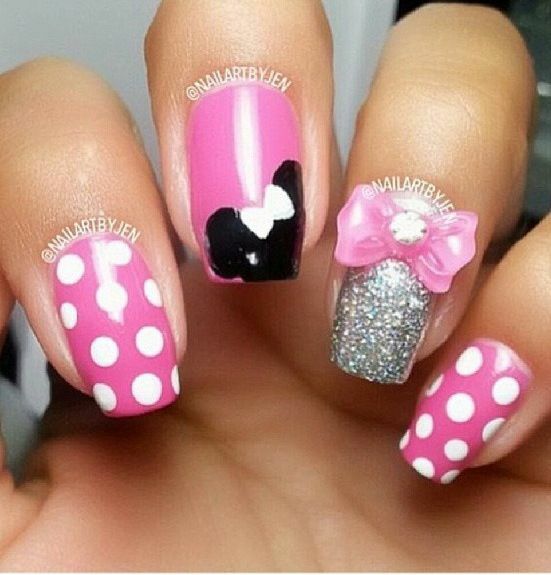 These Disney nails ideas will make you feel so great , they are cute and fresh but still brings out the kid in us .